Junction client Saffire Vapor, seller and distributor of premium-quality ‘high powered’ electronic cigarettes and accessories, reports successful growth in its first year against initial projections. Saffire Vapor, seller and distributor of premium-quality ‘high powered’ electronic cigarettes and accessories, is opening the doors of its second retail location in Franklin, TN, just over a year after launching its business in February of 2012. Saffire Vapor has grown quickly but sustainably through steady eCommerce sales, successful distribution relationships with third-party vendors, and a brick-and-mortar store in Murfreesboro, TN. The success of the first retail location, spurred by increased consumer demand for Saffire Vapor’s premium product offerings, prompted Founder and CEO Robert Arnold to open a retail location in Franklin, TN. 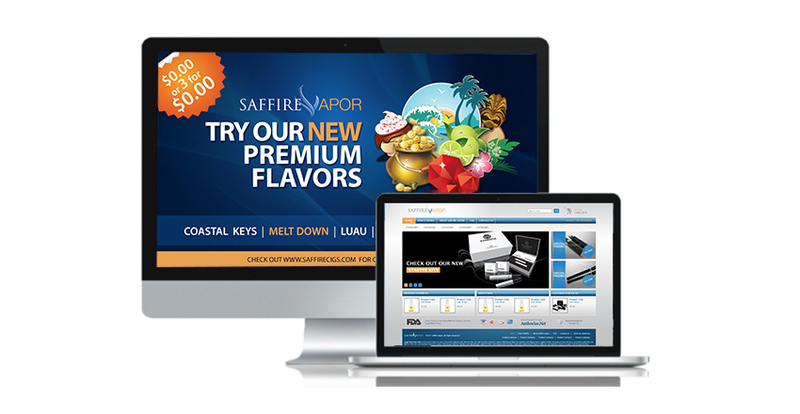 Saffire Vapor is an emerging brand that has gained affinity with its clients and effectively differentiated his brand in a developing and increasingly more competitive industry. The quality of his products coupled, outstanding customer service, and knowledgeable staff has positioned Saffire Vapor well. The business has now grown to include nearly 30 retail locations in Tennessee.